Admit it; we’ve all rolled our eyes at the person taking up four spots on a rush hour subway car with their bulky bicycle. And while we applaud their eco-friendly commuting habits, we admit it can be a little frustrating when we’re running late for work. 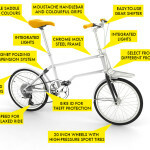 Enter the Vello Bike to save the day. 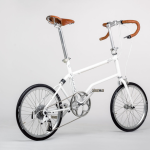 The lightweight, handmade folding bike’s 20-inch wheels (as opposed to traditional 26- or 28-inch wheels) are perfect for gaining speed, but also save space on crowded public transportation or when packed away in luggage. 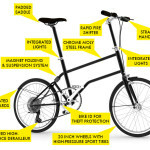 The bicycle features high-performance, top-end features not typically found in folding bikes, and it’s built to sustain various terrains (think cobblestone streets in the Meatpacking District or rocky hills during an upstate weekend camping adventure). Another detail that has us smitten with Vello? The bikes come equipped with unique QR codes that link to riders’ online profiles and help locate them if stolen. 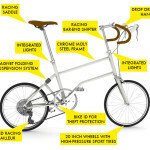 All of Vello’s components are those of a professional racing bike, but they are well-suited for urban riding. Thanks to a magnetic rear shock-absorber, riders can flip up the back wheel with a quick kick, and then roll it around with just one hand. 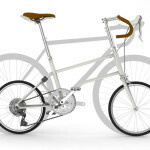 No matter the weather, the bike is protected with foldable fenders; a unisex steel frame integrates the front and rear lights and offers extra sturdiness. 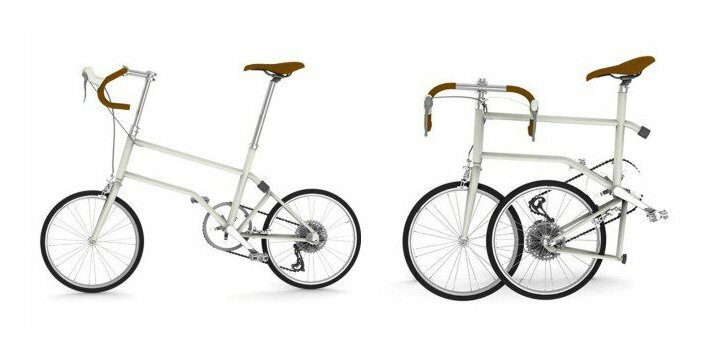 Vello was developed by Vienna-based designer Valentin Vodev as a prototype for a Cuban bike trip. 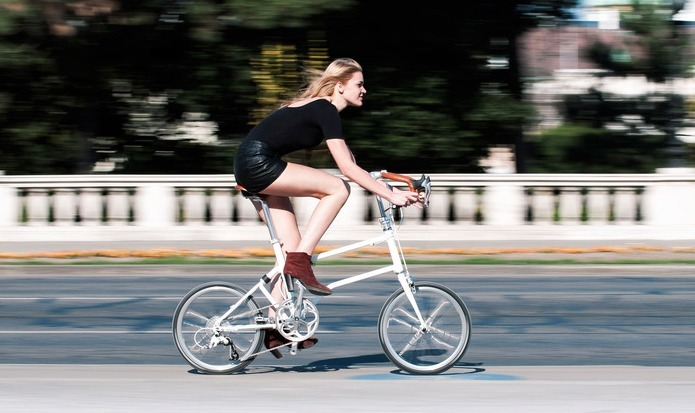 He then spent several years perfecting the design and engineering “to build a user-friendly, sustainable bike.” Along with Vello’s co-Founder Valerie Wolff, Vodev created three different models, each suited for a specific type of city dweller. 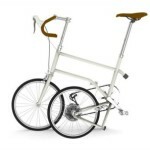 The Urbano is for relaxed rides, Rocky is for adventurous rides, and the Speedster excels with fast rides. The product has been successfully funded on Kickstarter, and will be available for purchase in March 2015. 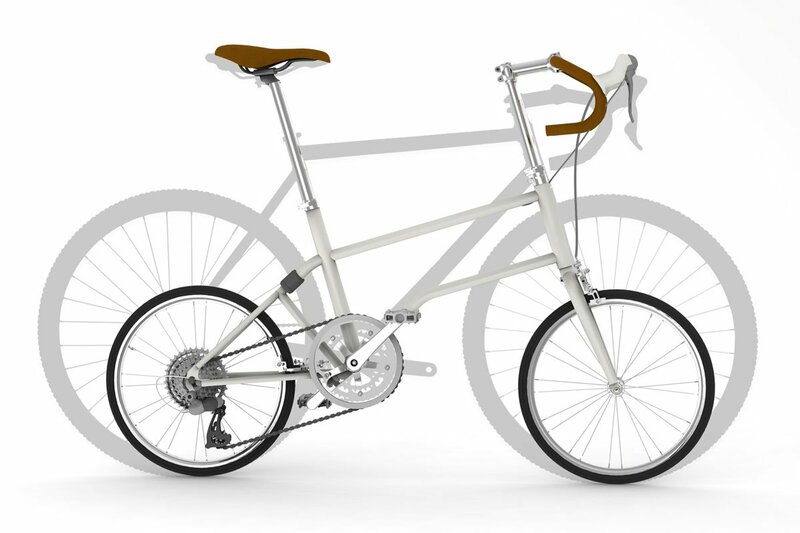 See the bike in action in the video below, and check out each model’s details in our gallery.